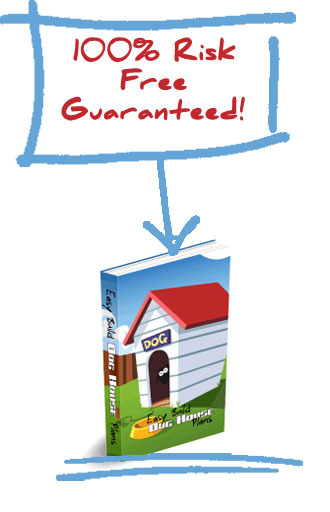 Looking for dog kennel plans? Here’s what you need to know! If you are looking for dog kennel plans, then you must understand what will make a good dog kennel. This article will discuss different things to look out for when it comes to dog kennel plans. When building a dog kennel make sure that you build in shade for your dog. If you have a tree this can act as natural shade for your dog kennel keeping your dogs cool during the hot winter months. Also you need to consider which direction the wind blows, that way you can determine how to keep your dogs warm in the winter if you have cold winters, and then cool in the summer. Another thing you want to consider if building your dog kennel up on high ground or on a slope so rain water or snow or any type of precipitation drains downward. Good dog kennel plans should tell you how to do this. Of course, if you have a concrete foundation this is not as important as the dog kennel won’t get all muddy any time it rains or snows. Security is an often overlooked aspect of dog kennels. Generally people only think about security when they are building something else for a dog, but let me tell you security is important. You don’t want other dogs getting into the kennel, as a serious fight could break out, and you also don’t want your dog to escape your dog kennel because you might lose him or her forever. So, here are some good tips that dog kennel plans should include. 1) If you are building a dog kennel and have a concrete foundation, then you don’t have to worry about bury the fence deep into the ground. However, whatever fence posts you use–metal or wood, make sure they go into the ground deep enough to make a solid fence. Some people recommend as deep as 12 inches into the ground for your fence posts. One thing to keep in mind is that some dogs can easily dig under a few inches of dirt, but 12 inches should prevent any dog from escaping or digging out. If you have a concrete floor then you don’t have to worry about burying it super deep. 2) The type of fencing you use is also important. Make sure that you don’t use metal fencing that will rust, galvanized or plastic fencing is recommend that way you do not have to worry about rust. Also, plastic fence will make sure that your animals don’t get cut on sharp metal edges that can form on fences. The last thing to consider in dog kennel plans is heating and cooling. If you live in extreme climates you may need to heat your dog kennel, or you may need to cool it. There are many different solutions beyond the scope of this article that you can look into. If your dog kennel is insulated well, then one or a few high wattage light bulbs can normally warm up the whole dog kennel. Cooling can be done by a mister or by a fan most of the time, as long as there is sufficient shade. These are just a few things to consider if you are looking to get dog kennel plans. 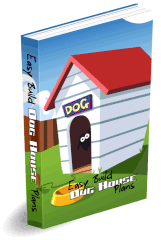 I have built over 20 dog houses and kennels in just the last few years, and I have used this resource every single time. I recommend you check it out and learn more about it. It has detailed guides, specific plans, blueprints, drawings, and pictures. The amount of time and money you will save will be well worth it. Click here to learn more.